Less well emphasized in an average school course is that the Industrial Revolution did not truly spool up until the railroads became a viable means of transportation--in other words, until there exited a means to carry large numbers of products beyond the relatively small market in the immediate vicinity of the location where it was produced. Since the railroads were one of the first mechanized industries to mature, and also came to impact almost every location where humans resided--other industries tended to by the availability of water or a vein of ore or some other geographical feature--their impact on the changing labor pool in the early and middle 19th century was substantial. The railroads developed at a frenzied pace in the United States, Europe, and various colonies of European powers. Prior to their arrival, no other occupation, other than traveling armies, had required thousands of men simply to function and had had to navigate the logistical challenges of operating over large expanses of land. Even before nascent railroad companies in England and then the United States and Europe recruited phalanxes of engineers and firemen, brakemen, signalmen, and roundhouse workers, the rails themselves had to be constructed. After a route was surveyed, the land would be cleared, leveled, and finally shaped into a permanent way before the tracks were constructed. For the majority of the 19th century, every single step of this work, from splitting trees into ties to hammering down the spikes, was done with brute human force. 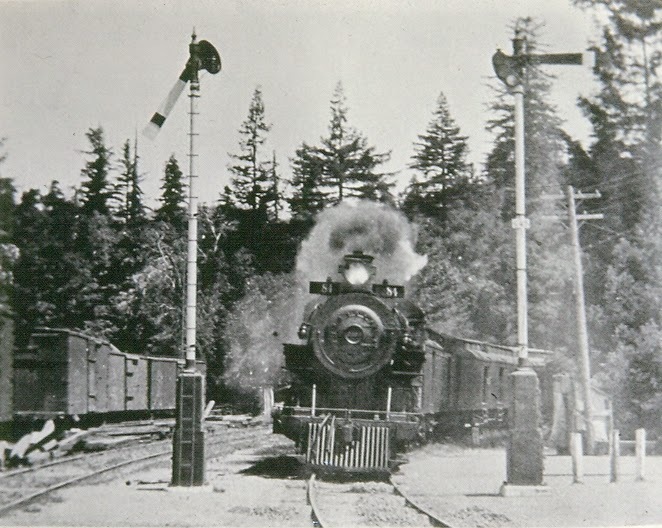 Even after initial construction had been completed, the railroads had to keep vast reserves of men on staff to keep the new lines in good condition. The rails used in the 19th century were made out of brittle metal, poor quality compared to what is available today, and wore out frequently in the course of normal use. Some tracks, particularly those on the transcontinental routes in the United States, had been built so hastily that entire portions of the line had to be replaced soon after they came into service. Track work in this era was unglamorous, difficult, and poorly compensated. The workers faced significant risk from natural elements, disease that spread through their camps, and hazards of the job. In some locations, the need for workers completely outpaced the number of able-bodied men wiling or available to work locally: Significant portions of the railroads in the United States were built by Chinese and Irish immigrants. After the tracks were in place, operation of the railroad equipment itself required another, somewhat smaller army of people. As much as steam locomotion improved over foot and animal travel, it was still an inherently labor-intensive technology. Beyond the crew in the cab actually operating the train, keeping a 19th century railroad efficiently running required a staff to start the engines at the beginning of each working day and to clean them of ash at the end, several brakemen per train to manually set the handbrakes placed on the roofs of the freight cars, mechanics and boilermakers, manual switchmen, signalmen, and crossing guards, baggage and freight clerks, staff for passenger cars, and untold numbers of people who worked in jobs peripherally related to the railroad industry. Railroads in US directly employed about 700,000 people in 1890, and peaked at around 1.5 million individuals employed during wartime operations in the 1940s. From this high point, the numbers have declined steadily, and dramatically. A paltry 230,000 individuals in the present day work in the railroad industry. The numbers have similarly declined in most other industrialized nations. What was once a vibrant sector, ingrained into the fabric of everyday life, has contracted and retreated from sight. These declining numbers contrast with the amount of goods actually hauled by rail in the postwar period and up to the present day. Rail traffic in the United States has overall remained relatively stable, exempting dips around the merger era in the 1970s and and the Recession. Currently, the tracks are currently swollen with crude traffic. Traffic in the United Kingdom declined after the war--the infamous Modernization Plan was conceived in response to lagging haulage--but has similarly picked up in recent years. It is not a lack of traffic, thus, that accounts for the shrinking number of railroad jobs, but technological developments. The railroads have always been an innovative and self improving industry, but prior to the postwar period, the major shifts in technologies did not have an immediate or dramatic effect on the size of the labor force. Improved rail integrity and length, for example, cut down on the frequency with which the tracks needed attention but did not alleviate the need for manual labor; telegraphy streamlined train operations but drew an entire new category of professionals into the industry. The two major 19th-century inventions relevant to train operations--air brakes and automatic couplers--slashed on-the-job casualty rates and decreased the need for a constant stream of new people entering the railroad industry, but had little impact on the total number of people employed by the industry. By the late 1800s, many railroad companies had began to experiment with machinery designed to mechanize trackwork and cut down on labor costs. The first pieces of equipment that could be considered maintenence-of-way vehicles, in the modern sense of the term, were mid-to late-19th century locomotives modified to carry about a dozen track inspectors.The rotary snow plow, invented in Canada in the 1880s and then eventually put into production by the Cooke Locomotive Works in New Jersey, greatly improved on the efficiency of the wedge snow plow and was one of the earliest machines invented specifically to address track conditions. Rail cranes for construction and uprighting wrecked equipment also developed in this period, and were widely implemented by railroads around the world. Both inventions lessened the need for brute muscle to keep tracks clear. As early as the 1840s, most railroad companies had cemented a symbiotic relationship with telegraph operators in order to coordinate train movements. They were among the first industries to make widespread use of electric power in any capacity. By the time the 19th century rolled over into the 20th, electrical power was well understood and had been adapted to a wide variety of household and industrial tasks. Railroad managers were well aware that electrical power could further streamline their operations. The first examples of modern signaling networks developed in the early 20th century. 19th century signals and switches were hand-operated, and depended on the attentiveness of employees stationed at points along the tracks to ensure that the route was clear. This arrangement provided virtually no way for a train that broke down or was delayed in between operators to alert other trains that they had strayed from the schedule. Many wrecks, and a staggering loss of life can be attributed directly to this inability to communicate. What was clearly required was a way for mechanical signals to give the crew of one train notice of whether or not a train in front of them remained a safe distance ahead. Railroad employees began to envision what we now refer to as an automatic block system, in which the tracks are divided into sections and signals and sensors prevent authorization of more than one train in any given area at a time, as early as the 1870s. However, such a system only became technologically and economically feasible after electrical power was widely integrated in the first few decades of the 20th century. After they were implemented, automatic block signals were a life-saving invention, but they also culled the number of employees required to operate the signaling network. The space between individual signal houses increased, and replacing the signals with electric lights also cut down on number of people required to maintain and operate them. The railroads had matured in the 19th century; in the 20th, they began to improve. Early examples of automatic signals. The years during and in between the two World Wars are often cited as the golden age of the railroads. At this point, the railroads were unchallenged by other forms of transportation, and were at their most critical to the societies that they supplied. The substantial war efforts and the economic depression in between distracted from innovations that might otherwise have been put to good use. To the outside, the railroads appeared unchanging, as if they had reached a plateau of technical perfection. After the end of World War two, though, many countries and industries emerged to find themselves fundamentally changed. The railroads were not immune from this reckoning. Within a decade of the end of the war, air travel posed serious and ultimately fatal competition, and many nations invested in regional highway systems as a part of post-conflict development and reconstruction. In order to survive, the railroads were forced to weed out every possible area of inefficiency and contract its workforce as much as possible. The most significant change to railroad industry, as discussed in its own article, was the transition away from steam locomotives. 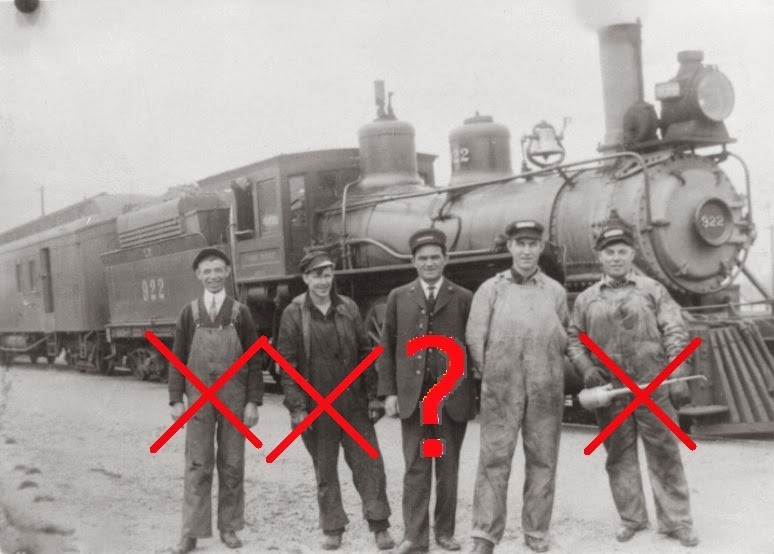 In a matter of half a decade, the need for a dozen or more specialized jobs were eliminated, and a sophisticated infrastructure supporting steam locomotion evaporated. Nostalgia for steam cuts deep. No other technology has caused such a deep cultural trauma simply by becoming obsolete. Santa Fe workers, sometime in the 1970s. Many different factors, each of which deserves a full examination in its own article, caused another shrinking of the railroad ranks around the 1970s. After adjusting to the post-steam era, the railroads compensated for lagging revenue by excise all remaining inefficiencies. The intercity passenger train service in the United States that had not already been killed by air travel and highways was removed from the freight railroads’ operation and transfered to Amtrak; in many European countries, railroads mostly abandoned freight haulage and concentrated on passenger service. In either case, employees who had formerly serviced unprofitable runs were eliminated. Entire unprofitable railroads, in fact, were written out of existence during this time. Many smaller railroad companies in the United States--poetically remembered as the 'fallen flags’-- merged into a handful of large conglomerates in order to survive. This era of consolidation eliminated many positions that had become redundant, and also forced the standardization of signaling systems and and operating rules. Increasingly, dispatchers and signalmen worked out of large, air-traffic-tower style control rooms located near busy rail yards, especially after it became possible to mechanically line switches. There was little need to keep signal towers staffed with living individuals, when mechanical sensors provided forewarning of danger on the line. These newer technologies whittled away at the numbers of people working on train crews, as well. The requirement to staff each train with a backup or trainee engineer--symbolically referred to as a fireman--was mostly eliminated by the 1980s. 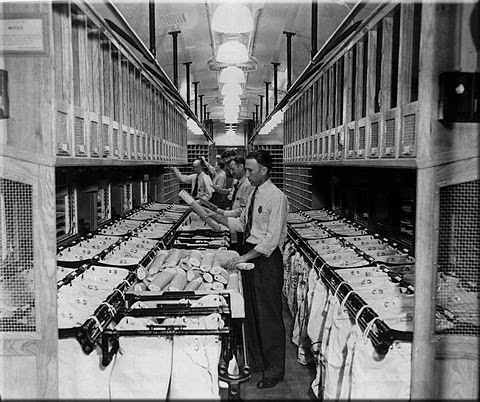 Shortly thereafter, automated defect detectors made it unnecessary to bring brakemen, and the caboose to house them, on each train. In the present day, freight trains typically run with two-man crews, and work trains may require only a few dozen people to staff all the machinery. There is potential for crew to shrink even further. Recently, a proposal to remove conductors from BNSF crews received severed backlash from groups representing railroad families, and informed members of the public. At present time, the plan has been abandoned, but may come up again unless the Federal government passes legislation requiring multiple-person crews. It is in fact theoretically possible that, at some point in the future, trains might be operated entirely remotely or robotically. Some airport terminals in the United States and subway systems in Europe already operate automatically. It does not take much foresight to imagine that companies may seek to automate freight or interurban passenger transport in order to attempt to save funds, particularly after the Positive Train Control system goes online in the United States. Weather or not this is wise, though, is an entirely different question.